May 1, 2015. “We are here to celebrate.” With this declaration Harvard FXB Director of Research Jacqueline Bhabha set the tone for the International Roma Day panel held at Harvard University’s Center for European Studies on April 8. This year, which marks the 25th anniversary of International Roma Day, Harvard FXB hosted a panel discussion to both reflect on the challenges facing the Roma in Europe and to celebrate the vitality and resilience of the Roma community. 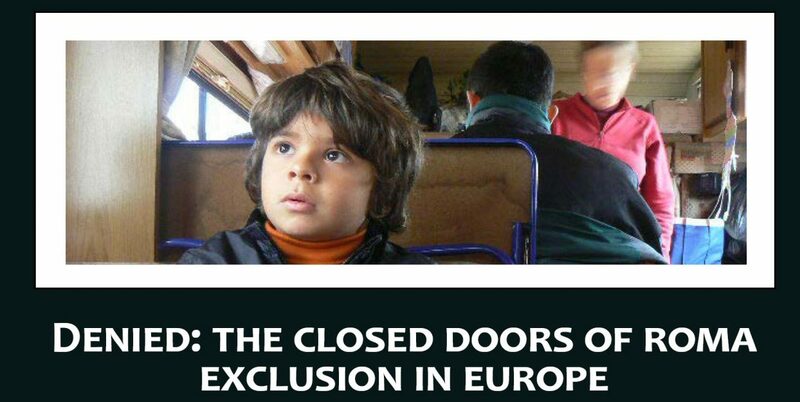 The event, titled “Denied: The Closed Doors of Roma Exclusion in Europe,” featured a discussion between Damian Drăghici, a renowned musician and Romani member of the European Parliament, and Dr. Margareta Matache, a prominent Roma activist and instructor at Harvard FXB. This third annual Roma event at Harvard was a joint effort between Harvard FXB and Harvard’s Center for European Studies. The conversation touched on many issues but focused primarily on how European governments have approached anti-Roma discrimination so far and how they can improve future efforts through better collaboration with Roma communities. Drăghici noted problems with the way that challenges facing Roma people are framed. He remarked on being continuously reminded of the need to “tackle the Roma issue,” a phrase he believes is inappropriate in the context of minority rights, because it places the party concerned in an inferior position to begin with. As a result of this improper framing, Drăghici said, most efforts to improve the situation of the Roma at a Europe-wide level have been extremely superficial. He emphasized the need for an approach based on programs that are designed and led primarily by the Romani community. Dr. Matache noted the value in using both targeted and mainstream polices. She noted that mainstream policies such as Europe 2020 can only be effective if they are crafted not only for majorities, but also for minorities. She also observed that the objectives set by the EU Roma Framework in relation to Roma education do not meet the objectives set by the Europe 2020 strategy. This mismatch may eventually lead to further educational discrepancies by 2020, Matache said. In order for a policy to be effective, she said, the Roma community must be meaningfully involved in its formation. Matache noted that all social movements benefited from the contributions of strong and dedicated allies. The panelists stressed the need for a holistic approach that incorporates both preventative and supportive measures. These include programs that address factors such as anti-Roma biases and the internalization of anti-Roma stigma. To succeed, these approaches will require a deep understanding of the situation of the party involved, Drăghici said, noting that he felt it important to expose policymakers to the realities of Roma life so that decision makers can be better informed and better prepared to create meaningful change. The April 8 event was very much in line with Harvard FXB’s efforts to promote awareness of discrimination towards the Roma and to bolster demands for participatory approaches to realize Roma rights. Ashley Collins is a Harvard student and research assistant at Harvard FXB.